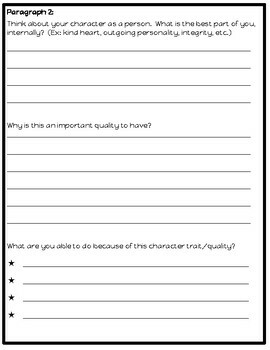 After reading the amazing book, The Best Part of Me, often students want to discuss, share, and write their own version! 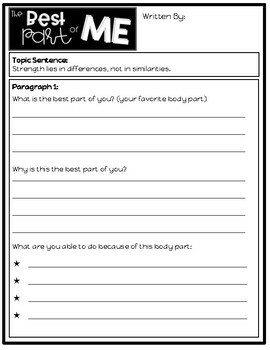 This template sets a framework for students to complete a 3 paragraph writing piece about the best part of themselves-- internally and externally. 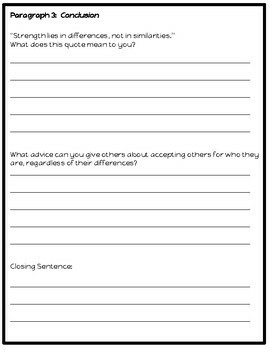 This is a great activity to enhance your learning community and celebrate differences!